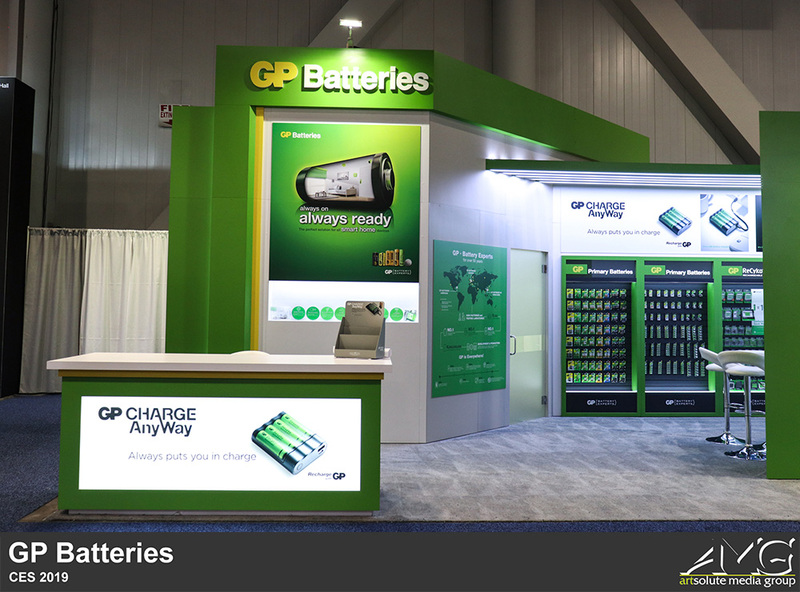 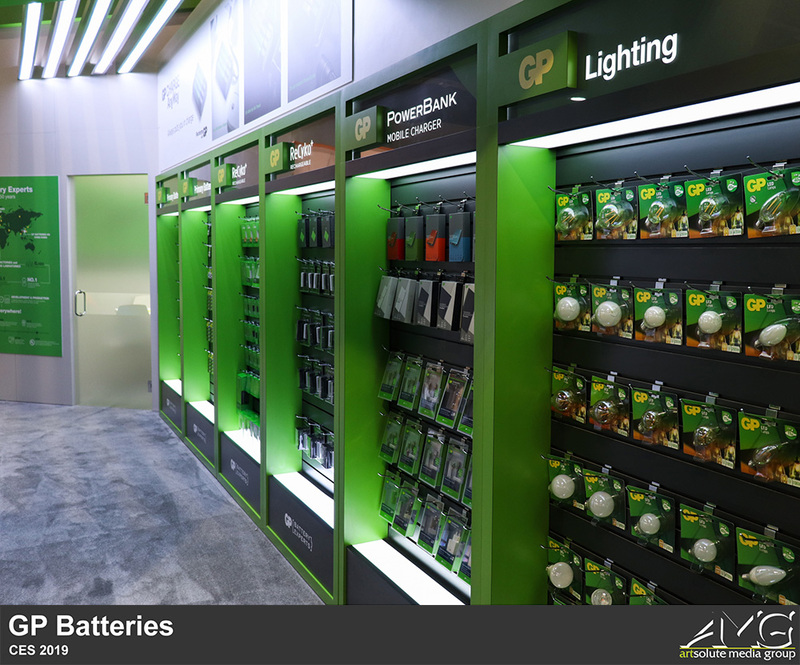 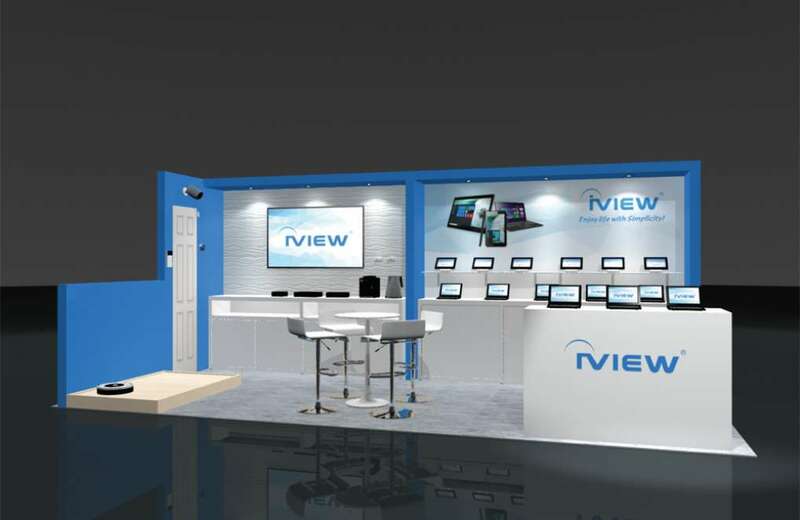 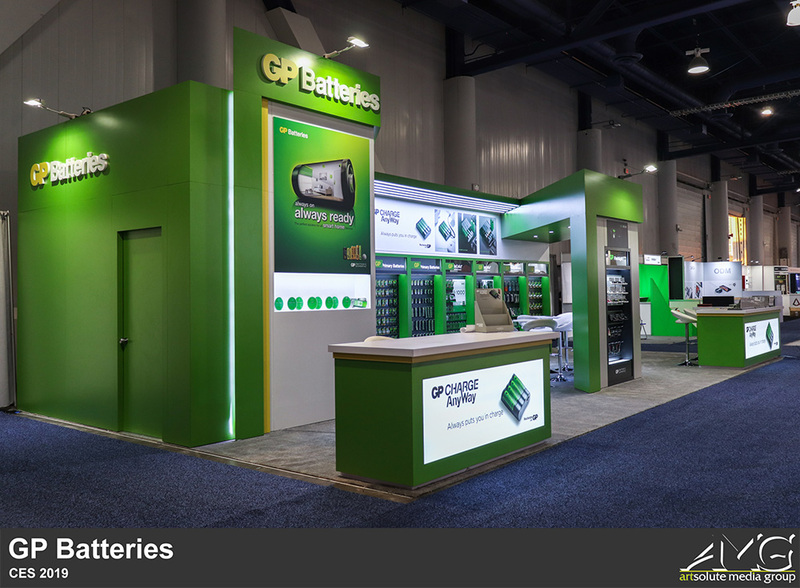 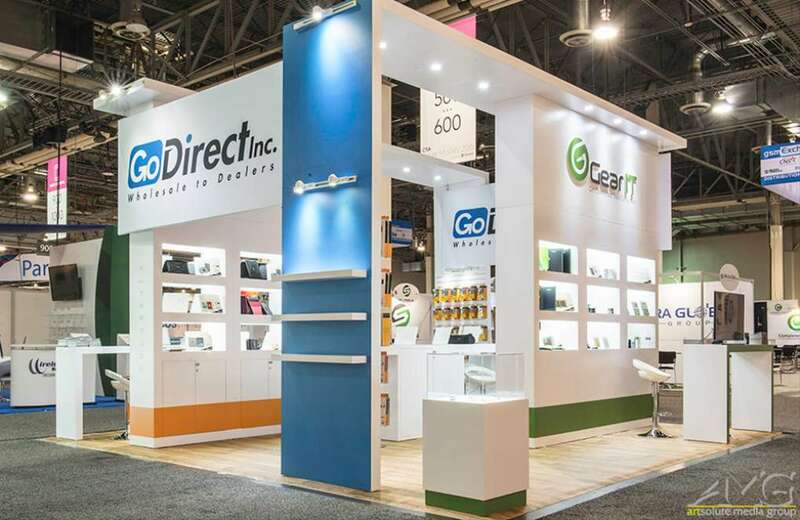 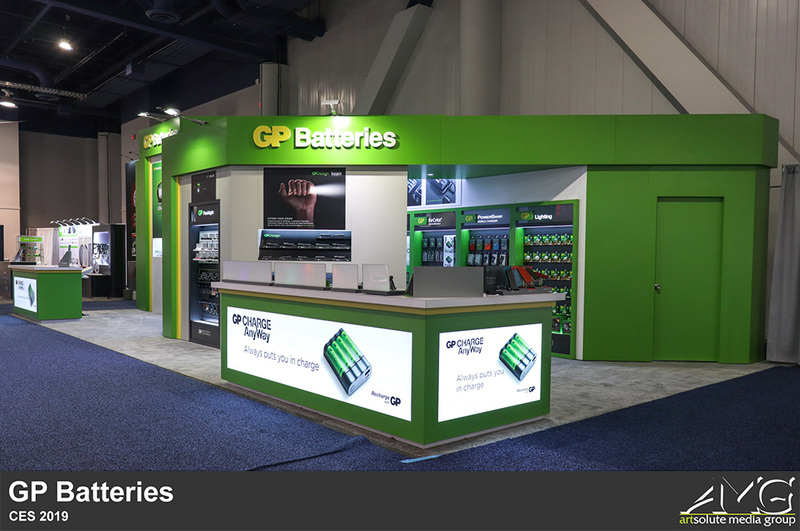 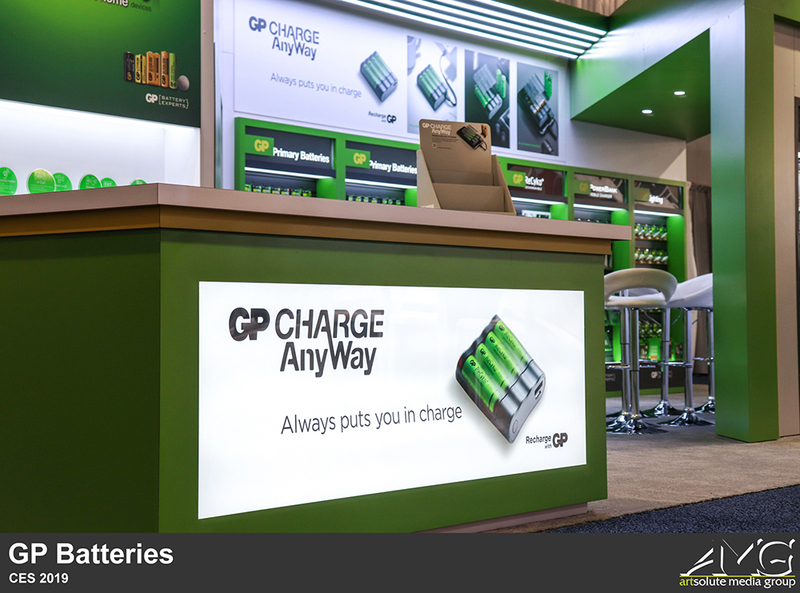 Compared to their booth from last year's CES, GP Batteries' exhibit this year incorporated a more compact and streamline design while retaining all the core elements. 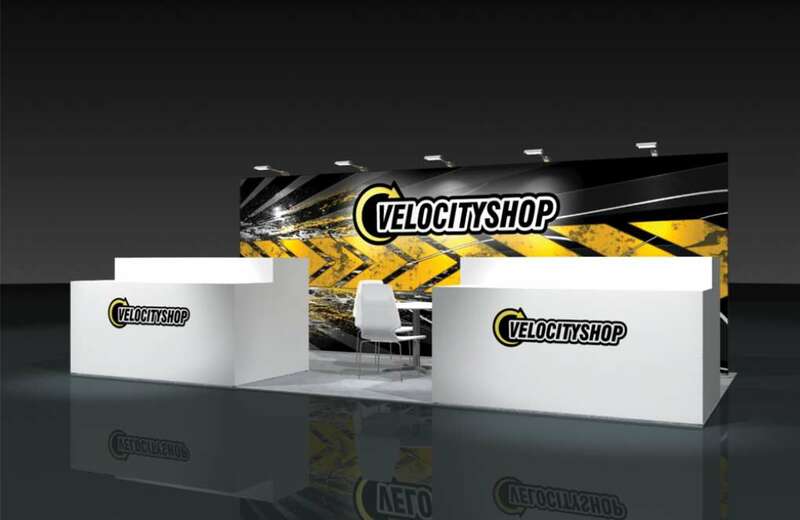 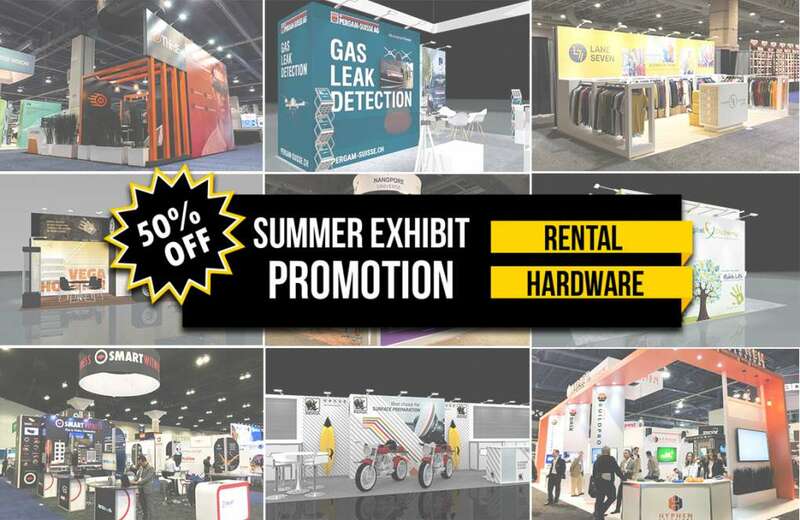 Brand imagery, product display walls, lightboxes, and a consistent green and yellow colorway are some of the main takeaways of their structure. 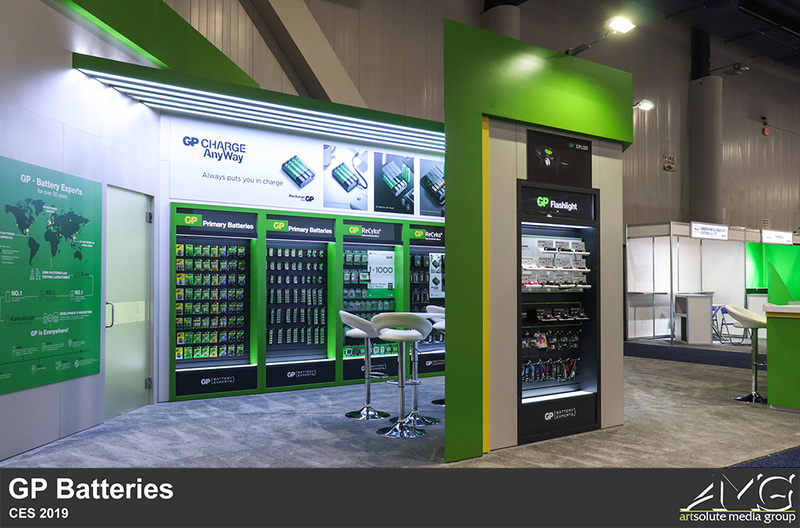 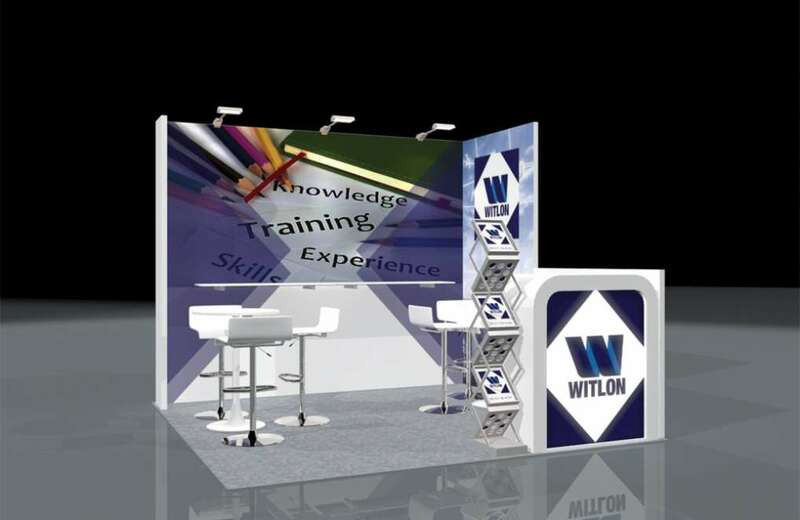 The overall lighting of their booth is spectacular as well as it does a great job of subtly illuminating the display in all the right areas.